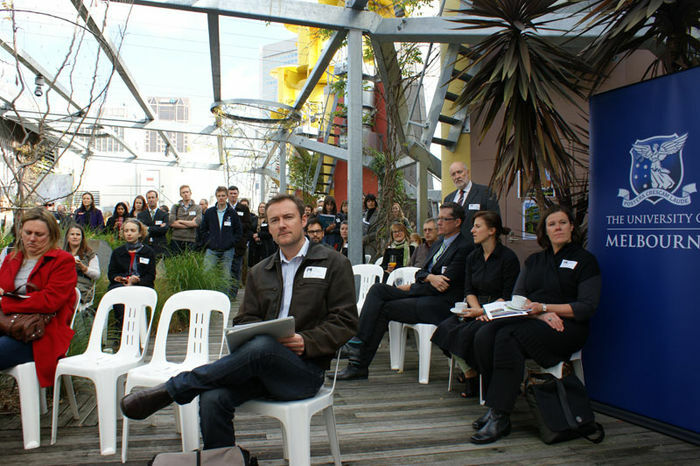 Launched in February 2014, the Growing Green Guide is a technical guide to the design and construction of green roofs, walls and facades for Melbourne. It was developed through a partnership between the University of Melbourne and City of Melbourne, in conjunction with inner Melbourne municipalities, the Department of Environment and Primary Industries (DEPI) and Industry reference groups. The Growing Green Guide continues to have widespread interest, support and recognition across different industry sectors and disciplines. To mid-March 2015, the guide website had more than 48,000 hits and in November, 2014 received the national AILA award for Research and Communications. The Growing Green Guide has won the 2015 Victorian Premier’s Sustainability Award in the Education category.